So, does anybody remember Parja's physical description? (I'll love you forever if you're willing to find and excerpt or two and post them.) I mean, I remember her hair is brown (ahem, sorry, chestnut ) and she has it in braided pigtails...but a lot of the fan-done images I've seen of her (and by 'a lot' I mean all of SIX I found were split into equal thirds between these styles) only have some of it braided with the rest hanging loose, or all of it in a single ponytail, as opposed to all of it in two shoulder-length pigtail-braids, like I have in my head oh god it's so cute. Oh, and what the heck is her eye color? The internet says 'deep blue,' but the internet also suspiciously tells me 'green.' And while we're at it, just to make sure, 'cause I don't trust anything at this point...her armor is indeed the 'deep scarlet' that the internet implies, like her dear auntie's is? It's been so long since I've read the books, I don't know what to believe any more...and we only have Order 66 here, which probably won't have much by way of visual descriptors, so I can't check myself. Haha, castle. XD Thanks for the reply, though. Activity is healthy. That is, of course, true. But I don't remember reading anything about her chainging up her hairstyle--just that she'd tie up her braided pigtails with copper beads. So I figure, I'll stick with going for that look until and unless either she wears her hair different in the books, or I decide I really wanna do somethin' different with her hair. Okay, just sifted through True Colors for about half an hour and discovered that, while Parja is introduced in that book, her physical description isn't mentioned. It only says that she is a mechanic and likes fixing things up, then goes on to describe a few instances where she helps Fi out. So... I'll have to delve into Order 66 to look some more. "Parja's dark chestnut braids swung beneath the chin level of her helmet, secured with red copper beads. With her deep scarlet armor, the overall effect in the gray drizzle was one of vivid autumn fruit." "Parja's eyes narrowed. They were very blue." Nothing that I saw in those first pages said anything specifically about two pig-tail style braids, but that doesn't mean it couldn't have been that way (or that it didn't detail it further later on in the book). Of course, that could imply more than two braids also, lol. When you say Kaylee style, what do you mean? For some reason I can only picture Kaylee with her hair down. There were only a few times she had her hair braided. The only specific point that comes to mind is in the flashback episode (Out of Gas), where Mal keeps remembering how the crew all got together (and Wash had a ferret on his lip XD). Man, it's easier to find her with her hair tied back in a ponytail, or in the two little buns from the episode where they met Book and Simon. Had to scour youtube and snag a screenshot for it (couldn't find a nice, clear one, but you can mostly see it). Kaylee with braids. Hehe. You should make friendly with someone who likes to do hair, and pester them to do it for you all the time. it sounds to me like there would be a small multitude of tiny braids tied with and hung around the copper beads. i can picture it in my head but i can't find it on the internet...jeeez. I know what you're talkin' about, yeah. I can picture it just fine, too, and taking the description at base value, that is what it seems to translate to...but I just can't shake the fact that she reminds me so very, very much of Kaylee, and the fact that two braids would be easier to keep up than ten (unless she has magical powers of never-frizzing, and her braids stay perfectly confined even after she's slept on them several times, in which case doing ten braids once a week is easier than two every day). I was picturing even more than ten. freaking crap i wish i could find a good example to show you. https://i.servimg.com/u/f67/15/17/71/41/hair-b11.jpg is as close as i could find. just without the beads. I know. I was just throwing out a random number. I told you, I know exactly what you were picturing, I've seen that before. And I know how pony beads work in hair, too--they'd work best on small braids like that. But again, like I said, unless her hair is capable of being like that for a week or longer without starting to come loose and be frizzy and crappy looking, it'd take more time to keep doing it up than I imagine a Mando mechanic would bother putting in to styling her hair. also keep in mind her hygiene might not be quite up to what ours is. I get the feeling that an armor clad warrior wouldnt have washing their hair daily on their priority list. This could greatly affect the look and upkeep of her hair. Mesh, that's kinda what I've been thinking--it takes too long to do a whole lot of tiny braids, and if she did them every day because they come loose being active and such, it'd be way easier to just do two of them (though I'm not certain whether they'd be french braids like that; I suppose it'd depend on whether she wanted to put either a few or several minutes into doing her hair that day). usually for that style you leave it in for several days, and a suit that doesn't have some kind of climate control when most are able to be vacuum sealed would be a bad idea. 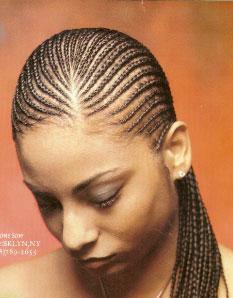 not to mention you have some one else do the braids to make it faster. so maybe once a week she redoes it and having sister, girlfriend, some one help her. 20 minutes per week? What the heck does a climate controlled suit have to do with anything? ;P It's not like it can completely prevent sweating, and the helmet would actually mess up her hair faster, what with sitting on top of her head and moving and whatnot. Subject: Re: Parja Bralor's physical attributes?